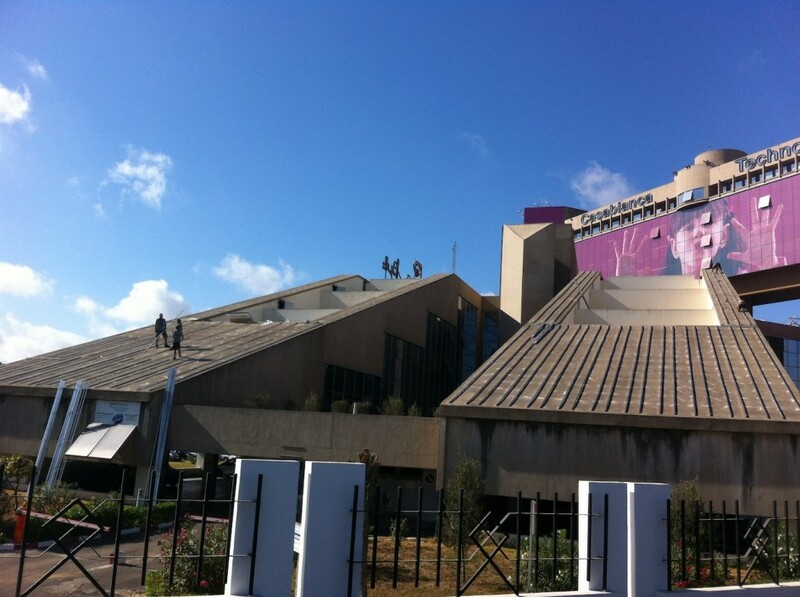 I have been involved in building the first photovoltaic central in Casablanca. It was at the Technopark which supports the creation and development of businesses in the Information and Communications Technologies (ICT) areas. The Casablanca’s Technopark hosts about 180 companies and they started to turn green with this first public/private partnership focus on sustainable development. The consortium was composed of EnRafrique, ISEEP, Technopark and Sunset Solar. We spent five months building the 50Kw photovoltaic central on the roof of the Technopark. I also participated in giving workshops on smart energy and legal frameworks to government officers. I already worked on energy projects in West Africa but it was my first smart energy project while we set up a monitoring system to have a global vision of the energy production and energy injected in the Technopark’s Building. We also meet government officials who have a real vision on expending renewable energy through the Moroccan kingdom and expect to export energy to Europe. It was a first step for me in the smart energy field which is growing more and more though the development of new smart energy technologies for smart grids and smart cities. We must keep in mind that, as 20 years ago in software development, interoperability has to be respected. Indeed, censors, data storages, concentrators have to speak a common open standard language to work properly together. Some equipment builders are trying to keep their hands on smart energy technologies by imposing their own standards which could be a problem in the future.